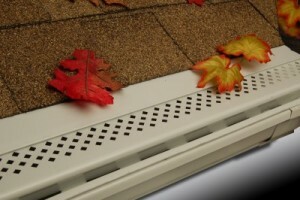 Gutter Guards Waunakee, Leaf Guard | I.G.S. It is simply the case that many gutter guards over-promise yet under-deliver. Not so with Absolute Gutter Protection. In addition to being made of sturdy, high-quality aluminum, Absolute Gutter Protection is compatible with any gutter system, doesn’t nail or screw into the roof, and is available in 13 attractive colors. Moreover, it is strictly installed by highly trained professionals who have been pre-approved by Innovative Gutter Solutions – a company committed to providing the most innovative gutter products on the market today. For more information, contact Innovative Gutter Solutions. We will be pleased to put you in touch with an authorized installer of our cutting-edge gutter guards serving the Waunakee, WI, community. Our founder and owner, Scott Frey, has over 25 years of experience in the field of exterior remodeling.